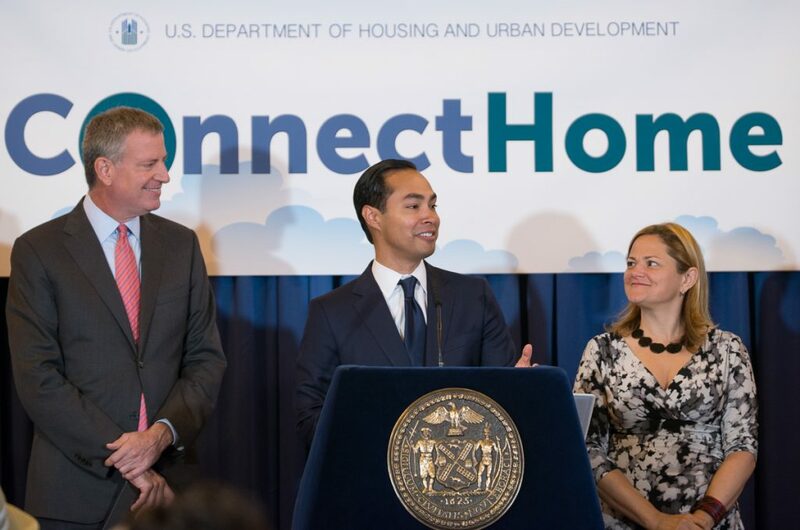 On July 15, 2016 the Secretary of Housing and Urban Development, Julian Castro, announced in conjunction with Comcast an expansion of the availability of low-cost broadband services to eligible HUD households within Comcast’s entire service area footprint. This effort is an expansion of HUD’s one year old ConnectHome project. Representative of the AFTRR Steering Committee had met with Michael Liiamatta, ConnectHome Manager, on June 30th and are continuing in discussions as to the potential collaboration between ConnectHome and AFTRR. A major challenge for ConnectHome is assuring the availability of affordable hardware for use in the HUD residents once the broadband service is in place. This potential collaboration is a perfect example of the “three-legged stool” analogy whereby the ultimate success of eliminating the digital divide must be addressed by broadband services, access to appropriate training curriculum and, most importantly, access to appropriate and affordable computer hardware.